At 9:15 p.m. Pacific time, Monday, April 6th, I received the news of Cozy’s death. I am in a state of disbelief and deep pain. Cozy was a meaningful and extremely supportive man in my life. Over the past few years he had suffered a number of accidents, and my care for him, and concerns, were expressed to him. Tonight, here in quiet Seal Beach, California, I am in despair, trying desperately to remember and account for all the good old days, the first time we met, and remembering our last conversation on Sunday, December 7th, 1997. His death, I know, will affect many. My condolences go to his family, his friends, and his fellow musicians. Cozy, in my opinion, was one of the greatest hard rock drummers in rock history., a direct speaking man with a love for many things, including his deep love for fast cars. I believe he’ll be missed by many, many people. The legend will go on. Cozy will remain in my heart until I die. The last time we saw each other, we hugged and held onto each other tightly, two old rockers, in the spirit of friends and drummers alike, each respecting the other. I thank God now that that happened on our last time together. Anything less would have made this night intolerable. God Bless, Coze, you crazy so and so. With tears and a sad heart, I ask God to take good care of you. I will miss you Coze. I won’t forget you or what you’ve shared with me. I am better for knowing you. Thank you. 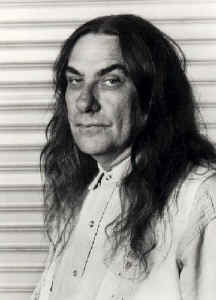 Bill Ward is well known for his work in Black Sabbath, as well as his solo work. He and Cozy never played together, but were good friends.